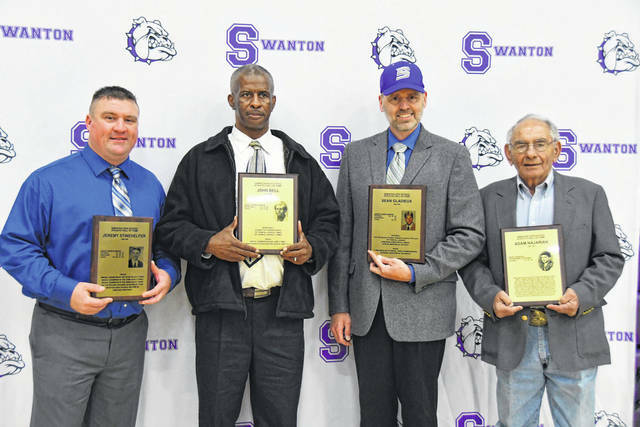 The 2019 Athletic Hall of Fame induction ceremony was held Saturday at Swanton High School. Individual inductees were, from left, Jeremy Stinehelfer, John Bell, Sean Gladieux and Adam Najarian (son Ken pictured). 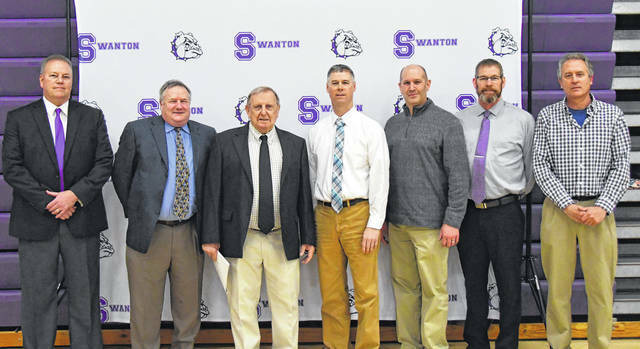 The 1981-82 Swanton boys basketball team was inducted into the hall of fame. They won NWOAL, sectional, and district titles for the Bulldogs. The district title still stands as the program’s only one.